2 – In your ASP.NET MVC view, call Html.React to render a component server-side, passing it the name of the component, and any required props. The server-rendered HTML will automatically be reused by React client-side, meaning your initial render will be super fast. For a more in-depth example, take a look at the included sample application (React.Samples.Mvc4). If there is no need to have a React application client side and you just want to use the server side rendering but without the React specific data attributes, call Html.React and pass serverOnly parameter as true. 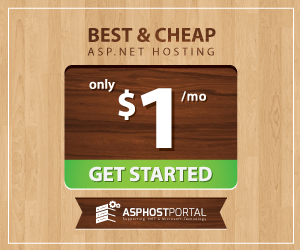 This entry was posted in ASP.NET Hosting Tutorial and tagged best asp.net hosting, cheap and reliable asp.net hosting, tips asp.net hosting, tutorial asp.net hosting. Bookmark the permalink.